Previously when application developers, connectors developers, DBAs and users… needed help from the MySQL Community, #mysql on freenodes IRC was the best place. Of course MySQL Forums are also a very good place to look for help. But we wanted to offer a more modern alternative, where it’s easy to sort threads and channels by topics. 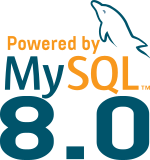 Therefore we decided to welcome or MySQL Community on Slack (mysqlcommunity.slack.com).